Israel’s right wing united on Monday morning for a campaign aimed at extending Israeli sovereignty to the city of Ma’ale Adumim, located 4 miles east of Jerusalem, based upon the Annexation Bill proposal of the Knesset Lobby for the Land of Israel. The campaign is run by the Ma’ale Adumim municipality, the Regavim movement and the Yesha Council governing organization of the Jewish communities of Judea and Samaria. 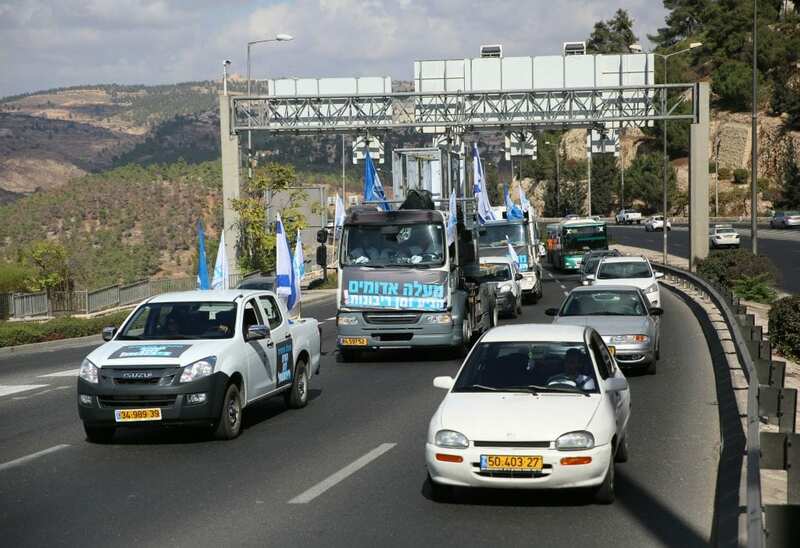 Mayor Benny Kashriel and Deputy Mayor Guy Ifrah led a large convoy of cars, trucks and buses from city hall to the Knesset, where they will demonstrate together with city council members, municipal employees, youth movements, and residents as the parliament begins its Winter Session. “Ma’ale Adumim has struggled in recent years to unfreeze construction in the city. 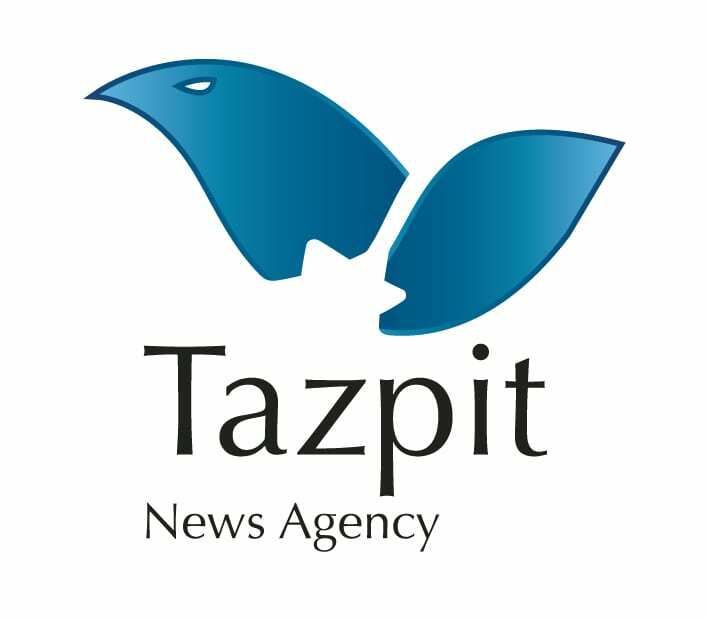 Attempts to apply Israeli sovereignty over Maale Adumim started in the 90’s, and the annexation bill then initiated by MK Emanuel Zisman (Labor) failed by only two votes,” Guy Ifrah told Tazpit Press Service (TPS). “[In addition, in] May 2016 a Midgam Institute survey showed that 80% of Israelis were in favor of establishing Israeli sovereignty over the city… the time is ripe to transform this impetus into practical legislation. “We also want to use the fact that all our prime ministers have supported Ma’ale Adumim and saw the city as an integral part of Israel,” he stated. The campaign will feature giant billboards at the entrance to Jerusalem and around the Knesset, featuring late president Shimon Peres, former prime ministers Ehud Barak and Ariel Sharon, along with the slogan “Following in their Path.” It also features statements by the former leaders supporting the issue of Israeli sovereignty for Ma’ale Adumim to prove the legitimacy of the enterprise. But left-wing politicians and members of the Peres family slammed the use of the former president, who died last month, saying the pro-settlement movement used a 30-year-old quotes, taken out of context, to indicate that Peres supported the sovereignty movement. They said that members of the protest movement know full well that that Peres’ views had changed by the time he died. “Peres fought with all his might for peace. There is no limit to the campaigners’ cynicism.They know full well that Peres opposed the occupation with all his might,” Dr. Rafi Walden, Peres’ son-in-law, told Army Radio. The demonstration comes as the settlement community is battling a series of High Court of Justice rulings to raze Israeli communities that Palestinians say were built on privately-owned land. Pro-settlement groups are pressing the government to pass legislation to retroactively legalize homes in the Amona, Ofra and Netiv Ha’avot communities. The court has given the government until December 25 to complete the eviction and demolition of the Amona community. “No one claims that Ma’ale Adumim was built on land privately owned by Palestinians, so the two issues are separate,” explained Ifrah. “But I believe that our campaign does not detract from the endeavor to regulate the issues of Amona and Ofra and vice versa. On the contrary: These efforts reinforce each other. [We hope] the most right wing government we had in a decade will carry out its mandate and resolve the settlement policy in Judea and Samaria,” he claimed.